YUSUFALI: Alif, Lam, Mim, Sad. PICKTHAL: Alif. Lam. Mim. Sad. SHAKIR: Alif Lam Mim Suad. YUSUFALI: A Book revealed unto thee,- So let thy heart be oppressed no more by any difficulty on that account,- that with it thou mightest warn (the erring) and teach the Believers). PICKTHAL: (It is) a Scripture that is revealed unto thee (Muhammad) - so let there be no heaviness in thy heart therefrom - that thou mayst warn thereby, and (it is) a Reminder unto believers. SHAKIR: A Book revealed to you-- so let there be no straitness in your breast on account of it-- that you may warn thereby, and a reminder close to the believers. YUSUFALI: Follow (O men!) the revelation given unto you from your Lord, and follow not, as friends or protectors, other than Him. Little it is ye remember of admonition. PICKTHAL: (Saying): Follow that which is sent down unto you from your Lord, and follow no protecting friends beside Him. Little do ye recollect! SHAKIR: Follow what has been revealed to you from your Lord and do not follow guardians besides Him, how little do you mind. YUSUFALI: How many towns have We destroyed (for their sins)? Our punishment took them on a sudden by night or while they slept for their afternoon rest. PICKTHAL: How many a township have We destroyed! As a raid by night, or while they slept at noon, Our terror came unto them. SHAKIR: And how many a town that We destroyed, so Our punishment came to it by night or while they slept at midday. YUSUFALI: When (thus) Our punishment took them, no cry did they utter but this: "Indeed we did wrong." PICKTHAL: No plea had they, when Our terror came unto them, save that they said: Lo! We were wrong-doers. SHAKIR: Yet their cry, when Our punishment came to them, was nothing but that they said: Surely we were unjust. YUSUFALI: Then shall we question those to whom Our message was sent and those by whom We sent it. PICKTHAL: Then verily We shall question those unto whom (Our message) hath been sent, and verily We shall question the messengers. YUSUFALI: And verily, We shall recount their whole story with knowledge, for We were never absent (at any time or place). PICKTHAL: Then verily We shall narrate unto them (the event) with knowledge, for We were not absent (when it came to pass). SHAKIR: Then most certainly We will relate to them with knowledge, and We were not absent. PICKTHAL: The weighing on that day is the true (weighing). As for those whose scale is heavy, they are the successful. YUSUFALI: Those whose scale will be light, will be their souls in perdition, for that they wrongfully treated Our signs. PICKTHAL: And as for those whose scale is light: those are they who lose their souls because they used to wrong Our revelations. SHAKIR: And as for him whose measure (of good deeds) is light those are they who have made their souls suffer loss because they disbelieved in Our communications. YUSUFALI: It is We Who have placed you with authority on earth, and provided you therein with means for the fulfilment of your life: small are the thanks that ye give! PICKTHAL: And We have given you (mankind) power in the earth, and appointed for you therein livelihoods. Little give ye thanks! SHAKIR: And certainly We have established you in the earth and made in it means of livelihood for you; little it is that you give thanks. YUSUFALI: It is We Who created you and gave you shape; then We bade the angels prostrate to Adam, and they prostrate; not so Iblis; He refused to be of those who prostrate. PICKTHAL: And We created you, then fashioned you, then told the angels: Fall ye prostrate before Adam! And they fell prostrate, all save Iblis, who was not of those who make prostration. SHAKIR: And certainly We created you, then We fashioned you, then We said to the angels: Prostrate to Adam. So they did prostrate except Iblis; he was not of those who prostrated. YUSUFALI: (Allah) said: "What prevented thee from prostrating when I commanded thee?" He said: "I am better than he: Thou didst create me from fire, and him from clay." PICKTHAL: He said: What hindered thee that thou didst not fall prostrate when I bade thee? (Iblis) said: I am better than him. Thou createdst me of fire while him Thou didst create of mud. SHAKIR: He said: What hindered you so that you did not prostrate when I commanded you? He said: I am better than he: Thou hast created me of fire, while him Thou didst create of dust. YUSUFALI: (Allah) said: "Get thee down from this: it is not for thee to be arrogant here: get out, for thou art of the meanest (of creatures)." PICKTHAL: He said: Then go down hence! It is not for thee to show pride here, so go forth! Lo! thou art of those degraded. SHAKIR: He said: Then get forth from this (state), for it does not befit you to behave proudly therein. Go forth, therefore, surely you are of the abject ones. YUSUFALI: He said: "Give me respite till the day they are raised up." PICKTHAL: He said: Reprieve me till the day when they are raised (from the dead). SHAKIR: He said: Respite me until the day when they are raised up. YUSUFALI: (Allah) said: "Be thou among those who have respite." PICKTHAL: He said: Lo! thou art of those reprieved. SHAKIR: He said: Surely you are of the respited ones. PICKTHAL: He said: Now, because Thou hast sent me astray, verily I shall lurk in ambush for them on Thy Right Path. SHAKIR: He said: As Thou hast caused me to remain disappointed I will certainly lie in wait for them in Thy straight path. YUSUFALI: "Then will I assault them from before them and behind them, from their right and their left: Nor wilt thou find, in most of them, gratitude (for thy mercies)." PICKTHAL: Then I shall come upon them from before them and from behind them and from their right hands and from their left hands, and Thou wilt not find most of them beholden (unto Thee). SHAKIR: Then I will certainly come to them from before them and from behind them, and from their right-hand side and from their left-hand side; and Thou shalt not find most of them thankful. YUSUFALI: (Allah) said: "Get out from this, disgraced and expelled. If any of them follow thee,- Hell will I fill with you all. PICKTHAL: He said: Go forth from hence, degraded, banished. As for such of them as follow thee, surely I will fill hell with all of you. SHAKIR: He said: Get out of this (state), despised, driven away; whoever of them will follow you, I will certainly fill hell with you all. YUSUFALI: "O Adam! dwell thou and thy wife in the Garden, and enjoy (its good things) as ye wish: but approach not this tree, or ye run into harm and transgression." PICKTHAL: And (unto man): O Adam! Dwell thou and thy wife in the Garden and eat from whence ye will, but come not nigh this tree lest ye become wrong-doers. SHAKIR: And (We said): O Adam! Dwell you and your wife in the garden; so eat from where you desire, but do not go near this tree, for then you will be of the unjust. YUSUFALI: Then began Satan to whisper suggestions to them, bringing openly before their minds all their shame that was hidden from them (before): he said: "Your Lord only forbade you this tree, lest ye should become angels or such beings as live for ever." PICKTHAL: Then Satan whispered to them that he might manifest unto them that which was hidden from them of their shame, and he said: Your Lord forbade you from this tree only lest ye should become angels or become of the immortals. SHAKIR: But the Shaitan made an evil suggestion to them that he might make manifest to them what had been hidden from them of their evil inclinations, and he said: Your Lord has not forbidden you this tree except that you may not both become two angels or that you may (not) become of the immortals. YUSUFALI: And he swore to them both, that he was their sincere adviser. PICKTHAL: And he swore unto them (saying): Lo! I am a sincere adviser unto you. YUSUFALI: So by deceit he brought about their fall: when they tasted of the tree, their shame became manifest to them, and they began to sew together the leaves of the garden over their bodies. And their Lord called unto them: "Did I not forbid you that tree, and tell you that Satan was an avowed enemy unto you?" PICKTHAL: Thus did he lead them on with guile. And when they tasted of the tree their shame was manifest to them and they began to hide (by heaping) on themselves some of the leaves of the Garden. And their Lord called them, (saying): Did I not forbid you from that tree and tell you: Lo! Satan is an open enemy to you? SHAKIR: Then he caused them to fall by deceit; so when they tasted of the tree, their evil inclinations became manifest to them, and they both began to cover themselves with the leaves of the garden; and their Lord called out to them: Did I not forbid you both from that tree and say to you that the Shaitan is your open enemy? YUSUFALI: They said: "Our Lord! We have wronged our own souls: If thou forgive us not and bestow not upon us Thy Mercy, we shall certainly be lost." PICKTHAL: They said: Our Lord! We have wronged ourselves. If thou forgive us not and have not mercy on us, surely we are of the lost! SHAKIR: They said: Our Lord! We have been unjust to ourselves, and if Thou forgive us not, and have (not) mercy on us, we shall certainly be of the losers. YUSUFALI: (Allah) said: "Get ye down. With enmity between yourselves. On earth will be your dwelling-place and your means of livelihood,- for a time." PICKTHAL: He said: Go down (from hence), one of you a foe unto the other. There will be for you on earth a habitation and provision for a while. SHAKIR: He said: Get forth, some of you, the enemies of others, and there is for you in the earth an abode and a provision for a time. YUSUFALI: He said: "Therein shall ye live, and therein shall ye die; but from it shall ye be taken out (at last)." PICKTHAL: He said: There shall ye live, and there shall ye die, and thence shall ye be brought forth. SHAKIR: He (also) said: Therein shall you live, and therein shall you die, and from it shall you be raised. YUSUFALI: O ye Children of Adam! We have bestowed raiment upon you to cover your shame, as well as to be an adornment to you. But the raiment of righteousness,- that is the best. Such are among the Signs of Allah, that they may receive admonition! PICKTHAL: O Children of Adam! We have revealed unto you raiment to conceal your shame, and splendid vesture, but the raiment of restraint from evil, that is best. This is of the revelations of Allah, that they may remember. SHAKIR: O children of Adam! We have indeed sent down to you clothing to cover your shame, and (clothing) for beauty and clothing that guards (against evil), that is the best. This is of the communications of Allah that they may be mindful. YUSUFALI: O ye Children of Adam! Let not Satan seduce you, in the same manner as He got your parents out of the Garden, stripping them of their raiment, to expose their shame: for he and his tribe watch you from a position where ye cannot see them: We made the evil ones friends (only) to those without faith. PICKTHAL: O Children of Adam! Let not Satan seduce you as he caused your (first) parents to go forth from the Garden and tore off from them their robe (of innocence) that he might manifest their shame to them. Lo! he seeth you, he and his tribe, from whence ye see him not. Lo! We have made the devils protecting friends for those who believe not. SHAKIR: O children of Adam! let not the Shaitan cause you to fall into affliction as he expelled your parents from the garden, pulling off from them both their clothing that he might show them their evil inclinations, he surely sees you, he as well as his host, from whence you cannot see them; surely We have made the Shaitans to be the guardians of those who do not believe. YUSUFALI: When they do aught that is shameful, they say: "We found our fathers doing so"; and "Allah commanded us thus": Say: "Nay, Allah never commands what is shameful: do ye say of Allah what ye know not?" PICKTHAL: And when they do some lewdness they say: We found our fathers doing it and Allah hath enjoined it on us. Say: Allah, verily, enjoineth not lewdness. Tell ye concerning Allah that which ye know not? SHAKIR: And when they commit an indecency they say: We found our fathers doing this, and Allah has enjoined it on us. Say: Surely Allah does not enjoin indecency; do you say against Allah what you do not know? YUSUFALI: Say: "My Lord hath commanded justice; and that ye set your whole selves (to Him) at every time and place of prayer, and call upon Him, making your devotion sincere as in His sight: such as He created you in the beginning, so shall ye return." PICKTHAL: Say: My Lord enjoineth justice. And set your faces upright (toward Him) at every place of worship and call upon Him, making religion pure for Him (only). As He brought you into being, so return ye (unto Him). SHAKIR: Say: My Lord has enjoined justice, and set upright your faces at every time of prayer and call on Him, being sincere to Him in obedience; as He brought you forth in the beginning, so shall you also return. YUSUFALI: Some He hath guided: Others have (by their choice) deserved the loss of their way; in that they took the evil ones, in preference to Allah, for their friends and protectors, and think that they receive guidance. PICKTHAL: A party hath He led aright, while error hath just hold over (another) party, for lo! they choose the devils for protecting supporters instead of Allah and deem that they are rightly guided. YUSUFALI: O Children of Adam! wear your beautiful apparel at every time and place of prayer: eat and drink: But waste not by excess, for Allah loveth not the wasters. PICKTHAL: O Children of Adam! Look to your adornment at every place of worship, and eat and drink, but be not prodigal. Lo! He loveth not the prodigals. SHAKIR: O children of Adam! attend to your embellishments at every time of prayer, and eat and drink and be not extravagant; surely He does not love the extravagant. YUSUFALI: Say: Who hath forbidden the beautiful (gifts) of Allah, which He hath produced for His servants, and the things, clean and pure, (which He hath provided) for sustenance? Say: They are, in the life of this world, for those who believe, (and) purely for them on the Day of Judgment. Thus do We explain the signs in detail for those who understand. PICKTHAL: Say: Who hath forbidden the adornment of Allah which He hath brought forth for His bondmen, and the good things of His providing? Say: Such, on the Day of Resurrection, will be only for those who believed during the life of the world. Thus do we detail Our revelations for people who have knowledge. SHAKIR: Say: Who has prohibited the embellishment of Allah which He has brought forth for His servants and the good provisions? Say: These are for the believers in the life of this world, purely (theirs) on the resurrection day; thus do We make the communications clear for a people who know. YUSUFALI: Say: the things that my Lord hath indeed forbidden are: shameful deeds, whether open or secret; sins and trespasses against truth or reason; assigning of partners to Allah, for which He hath given no authority; and saying things about Allah of which ye have no knowledge. PICKTHAL: Say: My Lord forbiddeth only indecencies, such of them as are apparent and such as are within, and sin and wrongful oppression, and that ye associate with Allah that for which no warrant hath been revealed, and that ye tell concerning Allah that which ye know not. SHAKIR: Say: My Lord has only prohibited indecencies, those of them that are apparent as well as those that are concealed, and sin and rebellion without justice, and that you associate with Allah that for which He has not sent down any authority, and that you say against Allah what you do not know. YUSUFALI: O ye Children of Adam! whenever there come to you messengers from amongst you, rehearsing My signs unto you,- those who are righteous and mend (their lives),- on them shall be no fear nor shall they grieve. PICKTHAL: O Children of Adam! When messengers of your own come unto you who narrate unto you My revelations, then whosoever refraineth from evil and amendeth - there shall no fear come upon them neither shall they grieve. YUSUFALI: But those who reject Our signs and treat them with arrogance,- they are companions of the Fire, to dwell therein (for ever). PICKTHAL: But they who deny Our revelations and scorn them - each are rightful owners of the Fire; they will abide therein. SHAKIR: And (as for) those who reject Our communications and turn away from them haughtily-- these are the inmates of the fire they shall abide in it. YUSUFALI: Who is more unjust than one who invents a lie against Allah or rejects His Signs? For such, their portion appointed must reach them from the Book (of decrees): until, when our messengers (of death) arrive and take their souls, they say: "Where are the things that ye used to invoke besides Allah?" They will reply, "They have left us in the lurch," And they will bear witness against themselves, that they had rejected Allah. PICKTHAL: Who doeth greater wrong than he who inventeth a lie concerning Allah or denieth Our tokens. (For such) their appointed portion of the Book (of destiny) reacheth them till, when Our messengers come to gather them, they say: Where (now) is that to which ye cried beside Allah? They say: They have departed from us. And they testify against themselves that they were disbelievers. YUSUFALI: He will say: "Enter ye in the company of the peoples who passed away before you - men and jinns, - into the Fire." Every time a new people enters, it curses its sister-people (that went before), until they follow each other, all into the Fire. Saith the last about the first: "Our Lord! it is these that misled us: so give them a double penalty in the Fire." He will say: "Doubled for all" : but this ye do not understand. PICKTHAL: He saith: Enter into the Fire among nations of the jinn and humankind who passed away before you. Every time a nation entereth, it curseth its sister (nation) till, when they have all been made to follow one another thither, the last of them saith unto the first of them: Our Lord! These led us astray, so give them double torment of the Fire. He saith: For each one there is double (torment), but ye know not. SHAKIR: He will say: Enter into fire among the nations that have passed away before you from among jinn and men; whenever a nation shall enter, it shall curse its sister, until when they have all come up with one another into it; the last of them shall say with regard to the foremost of them: Our Lord! these led us astray therefore give them a double chastisement of the fire. He will say: Every one shall have double but you do not know. YUSUFALI: Then the first will say to the last: "See then! No advantage have ye over us; so taste ye of the penalty for all that ye did !" PICKTHAL: And the first of them saith unto the last of them: Ye were no whit better than us, so taste the doom for what ye used to earn. SHAKIR: And the foremost of them will say to the last of them: So you have no preference over us; therefore taste the chastisement for what you earned. YUSUFALI: To those who reject Our signs and treat them with arrogance, no opening will there be of the gates of heaven, nor will they enter the garden, until the camel can pass through the eye of the needle: Such is Our reward for those in sin. PICKTHAL: Lo! they who deny Our revelations and scorn them, for them the gates of heaven will nor be opened not will they enter the Garden until the camel goeth through the needle's eye. Thus do We requite the guilty. SHAKIR: Surely (as for) those who reject Our communications and turn away from them haughtily, the doors of heaven shall not be opened for them, nor shall they enter the garden until the camel pass through the eye of the needle; and thus do We reward the guilty. YUSUFALI: For them there is Hell, as a couch (below) and folds and folds of covering above: such is Our requital of those who do wrong. PICKTHAL: Theirs will be a bed of hell, and over them coverings (of hell). Thus do We requite wrong-doers. SHAKIR: They shall have a bed of hell-fire and from above them coverings (of it); and thus do We reward the unjust. YUSUFALI: But those who believe and work righteousness,- no burden do We place on any soul, but that which it can bear,- they will be Companions of the Garden, therein to dwell (for ever). PICKTHAL: But (as for) those who believe and do good works - We tax not any soul beyond its scope - Such are rightful owners of the Garden. They abide therein. SHAKIR: And (as for) those who believe and do good We do not impose on any soul a duty except to the extent of its ability-- they are the dwellers of the garden; in it they shall abide. YUSUFALI: And We shall remove from their hearts any lurking sense of injury;- beneath them will be rivers flowing;- and they shall say: "Praise be to Allah, who hath guided us to this (felicity): never could we have found guidance, had it not been for the guidance of Allah: indeed it was the truth, that the messengers of our Lord brought unto us." And they shall hear the cry: "Behold! the garden before you! Ye have been made its inheritors, for your deeds (of righteousness)." PICKTHAL: And We remove whatever rancour may be in their hearts. Rivers flow beneath them. And they say: The praise to Allah, Who hath guided us to this. We could not truly have been led aright if Allah had not guided us. Verily the messengers of our Lord did bring the Truth. And it is cried unto them: This is the Garden. Ye inherit it for what ye used to do. SHAKIR: And We will remove whatever of ill-feeling is in their breasts; the rivers shall flow beneath them and they shall say: All praise is due to Allah Who guided us to this, and we would not have found the way had it not been that Allah had guided us; certainly the messengers of our Lord brought the truth; and it shall be cried out to them that this is the garden of which you are made heirs for what you did. SHAKIR: And the dwellers of the garden will call out to the inmates of the fire: Surely we have found what our Lord promised us to be true; have you too found what your Lord promised to be true? They will say: Yes. Then a crier will cry out among them that the curse of Allah is on the unjust. YUSUFALI: "Those who would hinder (men) from the path of Allah and would seek in it something crooked: they were those who denied the Hereafter." PICKTHAL: Who debar (men) from the path of Allah and would have it crooked, and who are disbelievers in the Last Day. SHAKIR: Who hinder (people) from Allah's way and seek to make it crooked, and they are disbelievers in the hereafter. YUSUFALI: Between them shall be a veil, and on the heights will be men who would know every one by his marks: they will call out to the Companions of the Garden, "peace on you": they will not have entered, but they will have an assurance (thereof). PICKTHAL: Between them is a veil. And on the Heights are men who know them all by their marks. And they call unto the dwellers of the Garden: Peace be unto you! They enter it not although they hope (to enter). SHAKIR: And between the two there shall be a veil, and on the most elevated places there shall be men who know all by their marks, and they shall call out to the dwellers of the garden: Peace be on you; they shall not have yet entered it, though they hope. YUSUFALI: When their eyes shall be turned towards the Companions of the Fire, they will say: "Our Lord! send us not to the company of the wrong-doers." PICKTHAL: And when their eyes are turned toward the dwellers of the Fire, they say: Our Lord! Place us not with the wrong-doing folk. YUSUFALI: The men on the heights will call to certain men whom they will know from their marks, saying: "Of what profit to you were your hoards and your arrogant ways? PICKTHAL: And the dwellers on the Heights call unto men whom they know by their marks, (saying): What did your multitude and that in which ye took your pride avail you? YUSUFALI: "Behold! are these not the men whom you swore that Allah with His Mercy would never bless? Enter ye the Garden: no fear shall be on you, nor shall ye grieve." PICKTHAL: Are these they of whom ye swore that Allah would not show them mercy? (Unto them it hath been said): Enter the Garden. No fear shall come upon you nor is it ye who will grieve. SHAKIR: Are these they about whom you swore that Allah will not bestow mercy on them? Enter the garden; you shall have no fear, nor shall you grieve. YUSUFALI: The Companions of the Fire will call to the Companions of the Garden: "Pour down to us water or anything that Allah doth provide for your sustenance." They will say: "Both these things hath Allah forbidden to those who rejected Him." SHAKIR: And the inmates of the fire shall call out to the dwellers of the garden, saying: Pour on us some water or of that which Allah has given you. They shall say: Surely Allah has prohibited them both to the unbelievers. YUSUFALI: "Such as took their religion to be mere amusement and play, and were deceived by the life of the world." That day shall We forget them as they forgot the meeting of this day of theirs, and as they were wont to reject Our signs. PICKTHAL: Who took their religion for a sport and pastime, and whom the life of the world beguiled. So this day We have forgotten them even as they forgot the meeting of this their Day and as they used to deny Our tokens. SHAKIR: Who take their religion for an idle sport and a play and this life's world deceives them; so today We forsake them, as they neglected the meeting of this day of theirs and as they denied Our communications. YUSUFALI: For We had certainly sent unto them a Book, based on knowledge, which We explained in detail,- a guide and a mercy to all who believe. PICKTHAL: Verily We have brought them a Scripture which We expounded with knowledge, a guidance and a mercy for a people who believe. SHAKIR: And certainly We have brought them a Book which We have made clear with knowledge, a guidance and a mercy for a people who believe. YUSUFALI: Do they just wait for the final fulfilment of the event? On the day the event is finally fulfilled, those who disregarded it before will say: "The messengers of our Lord did indeed bring true (tidings). Have we no intercessors now to intercede on our behalf? Or could we be sent back? then should we behave differently from our behaviour in the past." In fact they will have lost their souls, and the things they invented will leave them in the lurch. PICKTHAL: Await they aught save the fulfilment thereof? On the day when the fulfilment thereof cometh, those who were before forgetful thereof will say: The messengers of our Lord did bring the Truth! Have we any intercessors, that they may intercede for us? Or can we be returned (to life on earth), that we may act otherwise than we used to act? They have lost their souls, and that which they devised hath failed them. SHAKIR: Do they wait for aught but its final sequel? On the day when its final sequel comes about, those who neglected it before will say: Indeed the messengers of our Lord brought the truth; are there for us then any intercessors so that they should intercede on our behalf? Or could we be sent back so that we should do (deeds) other than those which we did? Indeed they have lost their souls and that which they forged has gone away from them. YUSUFALI: Call on your Lord with humility and in private: for Allah loveth not those who trespass beyond bounds. PICKTHAL: (O mankind!) Call upon your Lord humbly and in secret. Lo! He loveth not aggressors. SHAKIR: Call on your Lord humbly and secretly; surely He does not love those who exceed the limits. YUSUFALI: Do no mischief on the earth, after it hath been set in order, but call on Him with fear and longing (in your hearts): for the Mercy of Allah is (always) near to those who do good. PICKTHAL: Work not confusion in the earth after the fair ordering (thereof). and call on Him in fear and hope. Lo! the mercy of Allah is nigh unto the good. SHAKIR: And do not make mischief in the earth after its reformation, and call on Him fearing and hoping; surely the mercy of Allah is nigh to those who do good (to others). YUSUFALI: It is He Who sendeth the winds like heralds of glad tidings, going before His mercy: when they have carried the heavy-laden clouds, We drive them to a land that is dead, make rain to descend thereon, and produce every kind of harvest therewith: thus shall We raise up the dead: perchance ye may remember. PICKTHAL: And He it is Who sendeth the winds as tidings heralding His mercy, till, when they bear a cloud heavy (with rain), We lead it to a dead land, and then cause water to descend thereon and thereby bring forth fruits of every kind. Thus bring We forth the dead. Haply ye may remember. YUSUFALI: From the land that is clean and good, by the will of its Cherisher, springs up produce, (rich) after its kind: but from the land that is bad, springs up nothing but that which is niggardly: thus do we explain the signs by various (symbols) to those who are grateful. PICKTHAL: As for the good land, its vegetation cometh forth by permission of its Lord; while as for that which is bad, only the useless cometh forth (from it). Thus do We recount the tokens for people who give thanks. SHAKIR: And as for the good land, its vegetation springs forth (abundantly) by the permission of its Lord, and (as for) that which is inferior (its herbage) comes forth but scantily; thus do We repeat the communications for a people who give thanks. YUSUFALI: We sent Noah to his people. He said: "O my people! worship Allah! ye have no other god but Him. I fear for you the punishment of a dreadful day! PICKTHAL: We sent Noah (of old) unto his people, and he said: O my people! Serve Allah. Ye have no other Allah save Him. Lo! I fear for you the retribution of an Awful Day. SHAKIR: Certainly We sent Nuh to his people, so he said: O my people! serve Allah, you have no god other than Him; surely I fear for you the chastisement of a grievous day. YUSUFALI: The leaders of his people said: "Ah! we see thee evidently wandering (in mind)." PICKTHAL: The chieftains of his people said: Lo! we see thee surely in plain error. SHAKIR: The chiefs of his people said: Most surely we see you in clear error. YUSUFALI: He said: "O my people! No wandering is there in my (mind): on the contrary I am a messenger from the Lord and Cherisher of the worlds! PICKTHAL: He said: O my people! There is no error in me, but I am a messenger from the Lord of the Worlds. SHAKIR: He said: O my people! there is no error in me, but I am an messenger from the Lord of the worlds. YUSUFALI: "I but fulfil towards you the duties of my Lord's mission: Sincere is my advice to you, and I know from Allah something that ye know not. PICKTHAL: I convey unto you the messages of my Lord and give good counsel unto you, and know from Allah that which ye know not. SHAKIR: I deliver to you the messages of my Lord, and I offer you good advice and I know from Allah what you do not know. YUSUFALI: "Do ye wonder that there hath come to you a message from your Lord, through a man of your own people, to warn you,- so that ye may fear Allah and haply receive His Mercy?" PICKTHAL: Marvel ye that there should come unto you a Reminder from your Lord by means of a man among you, that he may warn you, and that ye may keep from evil, and that haply ye may find mercy. SHAKIR: What! do you wonder that a reminder has come to you from your Lord through a man from among you, that he might warn you and that you might guard (against evil) and so that mercy may be shown to you? YUSUFALI: But they rejected him, and We delivered him, and those with him, in the Ark: but We overwhelmed in the flood those who rejected Our signs. They were indeed a blind people! PICKTHAL: But they denied him, so We saved him and those with him in the ship, and We drowned those who denied Our tokens. Lo! they were blind folk. SHAKIR: But they called him a liar, so We delivered him and those with him in the ark, and We drowned those who rejected Our communications; surely they were a blind people. YUSUFALI: To the 'Ad people, (We sent) Hud, one of their (own) brethren: He said: O my people! worship Allah! ye have no other god but Him will ye not fear (Allah)?" PICKTHAL: And unto (the tribe of) A'ad (We sent) their brother, Hud. He said: O my people! Serve Allah. Ye have no other Allah save Him. Will ye not ward off (evil)? SHAKIR: And to Ad (We sent) their brother Hud. He said: O my people! serve Allah, you have no god other than Him; will you not then guard (against evil)? YUSUFALI: The leaders of the Unbelievers among his people said: "Ah! we see thou art an imbecile!" and "We think thou art a liar!" PICKTHAL: The chieftains of his people, who were disbelieving, said: Lo! we surely see thee in foolishness, and lo! we deem thee of the liars. SHAKIR: The chiefs of those who disbelieved from among his people said: Most surely we see you in folly, and most surely we think you to be of the liars. YUSUFALI: He said: "O my people! I am no imbecile, but (I am) a messenger from the Lord and Cherisher of the worlds! PICKTHAL: He said: O my people! There is no foolishness in me, but I am a messenger from the Lord of the Worlds. SHAKIR: He said: O my people! there is no folly in me, but I am an messenger of the Lord of the worlds. YUSUFALI: "I but fulfil towards you the duties of my Lord's mission: I am to you a sincere and trustworthy adviser. PICKTHAL: I convey unto you the messages of my Lord and am for you a true adviser. YUSUFALI: "Do ye wonder that there hath come to you a message from your Lord through a man of your own people, to warn you? call in remembrance that He made you inheritors after the people of Noah, and gave you a stature tall among the nations. Call in remembrance the benefits (ye have received) from Allah: that so ye may prosper." PICKTHAL: Marvel ye that there should come unto you a Reminder from your Lord by means of a man among you, that he may warn you? Remember how He made you viceroys after Noah's folk, and gave you growth of stature. Remember (all) the bounties of your Lord, that haply ye may be successful. SHAKIR: What! do you wonder that a reminder has come to you from your Lord through a man from among you that he might warn you? And remember when He made you successors after Nuh's people and increased you in excellence in respect of make; therefore remember the benefits of Allah, that you may be successful. YUSUFALI: They said: "Comest thou to us, that we may worship Allah alone, and give up the cult of our fathers? bring us what thou threatenest us with, if so be that thou tellest the truth!" PICKTHAL: They said: Hast come unto us that we should serve Allah alone, and forsake what our fathers worshipped? Then bring upon us that wherewith thou threatenest us if thou art of the truthful! SHAKIR: They said: Have you come to us that we may serve Allah alone and give up what our fathers used to serve? Then bring to us what you threaten us with, if you are of the truthful ones. YUSUFALI: He said: "Punishment and wrath have already come upon you from your Lord: dispute ye with me over names which ye have devised - ye and your fathers,- without authority from Allah? then wait: I am amongst you, also waiting." PICKTHAL: He said: Terror and wrath from your Lord have already fallen on you. Would ye wrangle with me over names which ye have named, ye and your fathers, for which no warrant from Allah hath been revealed? Then await (the consequence), lo! I (also) am of those awaiting (it). SHAKIR: He said: Indeed uncleanness and wrath from your Lord have lighted upon you; what! do you dispute with me about names which you and your fathers have given? Allah has not sent any authority for them; wait then, I too with you will be of those who wait. YUSUFALI: We saved him and those who adhered to him. By Our mercy, and We cut off the roots of those who rejected Our signs and did not believe. PICKTHAL: And We saved him and those with him by a mercy from Us, and We cut the root of those who denied Our revelations and were not believers. SHAKIR: So We delivered him and those with him by mercy from Us, and We cut off the last of those who rejected Our communications and were not believers. YUSUFALI: To the Thamud people (We sent) Salih, one of their own brethren: He said: "O my people! worship Allah: ye have no other god but Him. Now hath come unto you a clear (Sign) from your Lord! This she-camel of Allah is a Sign unto you: So leave her to graze in Allah's earth, and let her come to no harm, or ye shall be seized with a grievous punishment. PICKTHAL: And to (the tribe of) Thamud (We sent) their brother Salih. He said: O my people! Serve Allah. Ye have no other Allah save Him. A wonder from your Lord hath come unto you. Lo! this is the camel of Allah, a token unto you; so let her feed in Allah's earth, and touch her not with hurt lest painful torment seize you. SHAKIR: And to Samood (We sent) their brother Salih. He said: O my people! serve Allah, you have no god other than Him; clear proof indeed has come to you from your Lord; this is (as) Allah's she-camel for you-- a sign, therefore leave her alone to pasture on Allah's earth, and do not touch her with any harm, otherwise painful chastisement will overtake you. YUSUFALI: "And remember how He made you inheritors after the 'Ad people and gave you habitations in the land: ye build for yourselves palaces and castles in (open) plains, and care out homes in the mountains; so bring to remembrance the benefits (ye have received) from Allah, and refrain from evil and mischief on the earth." PICKTHAL: And remember how He made you viceroys after A'ad and gave you station in the earth. Ye choose castles in the plains and hew the mountains into dwellings. So remember (all) the bounties of Allah and do not evil, making mischief in the earth. SHAKIR: And remember when He made you successors after Ad and settled you in the land-- you make mansions on its plains and hew out houses in the mountains-- remember therefore Allah's benefits and do not act corruptly in the land, making mischief. YUSUFALI: The leaders of the arrogant party among his people said to those who were reckoned powerless - those among them who believed: "know ye indeed that Salih is a messenger from his Lord?" They said: "We do indeed believe in the revelation which hath been sent through him." PICKTHAL: The chieftains of his people, who were scornful, said unto those whom they despised, unto such of them as believed: Know ye that Salih is one sent from his Lord? They said: Lo! In that wherewith he hath been sent we are believers. YUSUFALI: The Arrogant party said: "For our part, we reject what ye believe in." PICKTHAL: Those who were scornful said: Lo! in that which ye believe we are disbelievers. SHAKIR: Those who were haughty said: Surely we are deniers of what you believe in. YUSUFALI: Then they ham-strung the she-camel, and insolently defied the order of their Lord, saying: "O Salih! bring about thy threats, if thou art a messenger (of Allah)!" PICKTHAL: So they hamstrung the she-camel, and they flouted the commandment of their Lord, and they said: O Salih! Bring upon us that thou threatenest if thou art indeed of those sent (from Allah). SHAKIR: So they slew the she-camel and revolted against their Lord's commandment, and they said: O Salih! bring us what you threatened us with, if you are one of the messengers. YUSUFALI: So the earthquake took them unawares, and they lay prostrate in their homes in the morning! PICKTHAL: So the earthquake seized them, and morning found them prostrate in their dwelling-place. SHAKIR: Then the earthquake overtook them, so they became motionless bodies in their abode. YUSUFALI: So Salih left them, saying: "O my people! I did indeed convey to you the message for which I was sent by my Lord: I gave you good counsel, but ye love not good counsellors!" PICKTHAL: And (Salih) turned from them and said: O my people! I delivered my Lord's message unto you and gave you good advice, but ye love not good advisers. SHAKIR: Then he turned away from them and said: O my people I did certainly deliver to you the message of my Lord, and I gave you good advice, but you do not love those who give good advice. YUSUFALI: We also (sent) Lut: He said to his people: "Do ye commit lewdness such as no people in creation (ever) committed before you? PICKTHAL: And Lot! (Remember) when he said unto his folk: Will ye commit abomination such as no creature ever did before you? SHAKIR: And (We sent) Lut when he said to his people: What! do you commit an indecency which any one in the world has not done before you? YUSUFALI: "For ye practise your lusts on men in preference to women : ye are indeed a people transgressing beyond bounds." PICKTHAL: Lo! ye come with lust unto men instead of women. Nay, but ye are wanton folk. SHAKIR: Most surely you come to males in lust besides females; nay you are an extravagant people. YUSUFALI: And his people gave no answer but this: they said, "Drive them out of your city: these are indeed men who want to be clean and pure!" PICKTHAL: And the answer of his people was only that they said (one to another): Turn them out of your township. They are folk, forsooth, who keep pure. SHAKIR: And the answer of his people was no other than that they said: Turn them out of your town, surely they are a people who seek to purify (themselves). YUSUFALI: But we saved him and his family, except his wife: she was of those who legged behind. PICKTHAL: And We rescued him and his household, save his wife, who was of those who stayed behind. SHAKIR: So We delivered him and his followers, except his wife; she was of those who remained behind. YUSUFALI: And we rained down on them a shower (of brimstone): Then see what was the end of those who indulged in sin and crime! PICKTHAL: And We rained a rain upon them. See now the nature of the consequence of evil-doers! YUSUFALI: To the Madyan people We sent Shu'aib, one of their own brethren: he said: "O my people! worship Allah; Ye have no other god but Him. Now hath come unto you a clear (Sign) from your Lord! Give just measure and weight, nor withhold from the people the things that are their due; and do no mischief on the earth after it has been set in order: that will be best for you, if ye have Faith. PICKTHAL: And unto Midian (We sent) their brother, Shu'eyb. He said: O my people! Serve Allah. Ye have no other Allah save Him. Lo! a clear proof hath come unto you from your Lord; so give full measure and full weight and wrong not mankind in their goods, and work not confusion in the earth after the fair ordering thereof. That will be better for you, if ye are believers. YUSUFALI: "And squat not on every road, breathing threats, hindering from the path of Allah those who believe in Him, and seeking in it something crooked; But remember how ye were little, and He gave you increase. And hold in your mind's eye what was the end of those who did mischief. PICKTHAL: Lurk not on every road to threaten (wayfarers), and to turn away from Allah's path him who believeth in Him, and to seek to make it crooked. And remember, when ye were but few, how He did multiply you. And see the nature of the consequence for the corrupters! SHAKIR: And do not lie in wait in every path, threatening and turning away from Allah's way him who believes in Him and seeking to make it crooked; and remember when you were few then He multiplied you, and consider what was the end of the mischief-makers. YUSUFALI: "And if there is a party among you who believes in the message with which I have been sent, and a party which does not believe, hold yourselves in patience until Allah doth decide between us: for He is the best to decide. PICKTHAL: And if there is a party of you which believeth in that wherewith I have been sent, and there is a party which believeth not, then have patience until Allah judge between us. He is the Best of all who deal in judgment. SHAKIR: And if there is a party of you who believe in that with which am sent, and another party who do not believe, then wait patiently until Allah judges between us; and He is the best of the Judges. YUSUFALI: The leaders, the arrogant party among his people, said: "O Shu'aib! we shall certainly drive thee out of our city - (thee) and those who believe with thee; or else ye (thou and they) shall have to return to our ways and religion." He said: "What! even though we do detest (them)? PICKTHAL: The chieftains of his people, who were scornful, said: Surely we will drive thee out, O Shu'eyb, and those who believe with thee, from our township, unless ye return to our religion. He said: Even though we hate it? SHAKIR: The chiefs, those who were proud from among his people said: We will most certainly turn you out, O Shu'aib, and (also; those who believe with you, from our town, or you shall come back to our faith. He said: What! though we dislike (it)? YUSUFALI: "We should indeed invent a lie against Allah, if we returned to your ways after Allah hath rescued us therefrom; nor could we by any manner of means return thereto unless it be as in the will and plan of Allah, Our Lord. Our Lord can reach out to the utmost recesses of things by His knowledge. In the Allah is our trust. our Lord! decide Thou between us and our people in truth, for Thou art the best to decide." PICKTHAL: We should have invented a lie against Allah if we returned to your religion after Allah hath rescued us from it. It is not for us to return to it unless Allah our Lord should (so) will. Our Lord comprehendeth all things in knowledge. In Allah do we put our trust. Our Lord! Decide with truth between us and our folk, for Thou art the best of those who make decision. SHAKIR: Indeed we shall have forged a lie against Allah If we go back to your religion after Allah has delivered us from It, and it befits us not that we should go back to it, except if Allah our Lord please: Our Lord comprehends all things :n His knowledge; in Allah do we trust: Our Lord! decide between us and our people with truth; and Thou art the best of deciders. YUSUFALI: The leaders, the unbelievers among his people, said: "If ye follow Shu'aib, be sure then ye are ruined!" PICKTHAL: But the chieftains of his people, who were disbelieving, said: If ye follow Shu'eyb, then truly ye shall be the losers. YUSUFALI: But the earthquake took them unawares, and they lay prostrate in their homes before the morning! PICKTHAL: So the earthquake seized them and morning found them prostrate in their dwelling-place. YUSUFALI: The men who reject Shu'aib became as if they had never been in the homes where they had flourished: the men who rejected Shu'aib - it was they who were ruined! PICKTHAL: Those who denied Shu'eyb became as though they had not dwelt there. Those who denied Shu'eyb, they were the losers. SHAKIR: Those who called Shu'aib a liar were as though they had never dwelt therein; those who called Shu'aib a liar, they were the losers. YUSUFALI: So Shu'aib left them, saying: "O my people! I did indeed convey to you the messages for which I was sent by my Lord: I gave you good counsel, but how shall I lament over a people who refuse to believe!" PICKTHAL: So he turned from them and said: O my people! I delivered my Lord's messages unto you and gave you good advice; then how can I sorrow for a people that rejected (truth)? SHAKIR: So he turned away from them and said: O my people! certainly I delivered to you the messages of my Lord and I gave you good advice; how shall I then be sorry for an unbelieving people? YUSUFALI: Whenever We sent a prophet to a town, We took up its people in suffering and adversity, in order that they might learn humility. PICKTHAL: And We sent no prophet unto any township but We did afflict its folk with tribulation and adversity that haply they might grow humble. SHAKIR: And We did not send a prophet in a town but We overtook its people with distress and affliction in order that they might humble themselves. YUSUFALI: Then We changed their suffering into prosperity, until they grew and multiplied, and began to say: "Our fathers (too) were touched by suffering and affluence" ... Behold! We called them to account of a sudden, while they realised not (their peril). PICKTHAL: Then changed We the evil plight for good till they grew affluent and said: Tribulation and distress did touch our fathers. Then We seized them unawares, when they perceived not. SHAKIR: Then We gave them good in the place of evil until they became many and said: Distress and happiness did indeed befall our fathers. Then We took them by surprise while they did not perceive. YUSUFALI: If the people of the towns had but believed and feared Allah, We should indeed have opened out to them (All kinds of) blessings from heaven and earth; but they rejected (the truth), and We brought them to book for their misdeeds. PICKTHAL: And if the people of the townships had believed and kept from evil, surely We should have opened for them blessings from the sky and from the earth. But (unto every messenger) they gave the lie, and so We seized them on account of what they used to earn. SHAKIR: And if the people of the towns had believed and guarded (against evil) We would certainly have opened up for them blessings from the heaven and the earth, but they rejected, so We overtook them for what they had earned. YUSUFALI: Did the people of the towns feel secure against the coming of Our wrath by night while they were asleep? PICKTHAL: Are the people of the townships then secure from the coming of Our wrath upon them as a night-raid while they sleep? SHAKIR: What! do the people of the towns then feel secure from Our punishment coming to them by night while they sleep? YUSUFALI: Or else did they feel secure against its coming in broad daylight while they played about (care-free)? PICKTHAL: Or are the people of the townships then secure from the coming of Our wrath upon them in the daytime while they play? SHAKIR: What! do the people of the towns feel secure from Our punishment coming to them in the morning while they play? YUSUFALI: Did they then feel secure against the plan of Allah?- but no one can feel secure from the Plan of Allah, except those (doomed) to ruin! PICKTHAL: Are they then secure from Allah's scheme? None deemeth himself secure from Allah's scheme save folk that perish. SHAKIR: What! do they then feel secure from Allah's plan? But none feels secure from Allah's plan except the people who shall perish. YUSUFALI: To those who inherit the earth in succession to its (previous) possessors, is it not a guiding, (lesson) that, if We so willed, We could punish them (too) for their sins, and seal up their hearts so that they could not hear? PICKTHAL: Is it not an indication to those who inherit the land after its people (who thus reaped the consequence of evil-doing) that, if We will, We can smite them for their sins and print upon their hearts so that they hear not? SHAKIR: Is it not clear to those who inherit the earth after its (former) residents that if We please We would afflict them on account of their faults and set a seal on their hearts so they would not hear. YUSUFALI: Such were the towns whose story We (thus) relate unto thee: There came indeed to them their messengers with clear (signs): But they would not believe what they had rejected before. Thus doth Allah seal up the hearts of those who reject faith. PICKTHAL: Such were the townships. We relate some tidings of them unto thee (Muhammad). Their messengers verily came unto them with clear proofs (of Allah's Sovereignty), but they could not believe because they had before denied. Thus doth Allah print upon the hearts of disbelievers (that they hear not). YUSUFALI: Most of them We found not men (true) to their covenant: but most of them We found rebellious and disobedient. PICKTHAL: We found no (loyalty to any) covenant in most of them. Nay, most of them We found wrong-doers. SHAKIR: And We did not find in most of them any (faithfulness to) covenant, and We found most of them to be certainly transgressors. YUSUFALI: Then after them We sent Moses with Our signs to Pharaoh and his chiefs, but they wrongfully rejected them: So see what was the end of those who made mischief. PICKTHAL: Then, after them, We sent Moses with our tokens unto Pharaoh and his chiefs, but they repelled them. Now, see the nature of the consequence for the corrupters! SHAKIR: Then we raised after them Musa with Our communications to Firon and his chiefs, but they disbelieved in them; consider then what was the end of the mischief makers. YUSUFALI: One for whom it is right to say nothing but truth about Allah. Now have I come unto you (people), from your Lord, with a clear (Sign): So let the Children of Israel depart along with me." PICKTHAL: Approved upon condition that I speak concerning Allah nothing but the truth. I come unto you (lords of Egypt) with a clear proof from your Lord. So let the Children of Israel go with me. YUSUFALI: (Pharaoh) said: "If indeed thou hast come with a Sign, show it forth,- if thou tellest the truth." PICKTHAL: (Pharaoh) said: If thou comest with a token, then produce it, if thou art of those who speak the truth. SHAKIR: He said: If you have come with a sign, then bring it, if you are of the truthful ones. YUSUFALI: Then (Moses) threw his rod, and behold! it was a serpent, plain (for all to see)! SHAKIR: So he threw his rod, then lo! it was a clear serpent. YUSUFALI: And he drew out his hand, and behold! it was white to all beholders! PICKTHAL: And he drew forth his hand (from his bosom), and lo! it was white for the beholders. SHAKIR: And he drew forth his hand, and lo! it was white to the beholders. YUSUFALI: Said the Chiefs of the people of Pharaoh: "This is indeed a sorcerer well-versed. YUSUFALI: "His plan is to get you out of your land: then what is it ye counsel?" PICKTHAL: Who would expel you from your land. Now what do ye advise? SHAKIR: He intends to turn you out of your land. What counsel do you then give? YUSUFALI: And bring up to thee all (our) sorcerers well-versed." PICKTHAL: To bring each knowing wizard unto thee. SHAKIR: That they may bring to you every enchanter possessed of knowledge. YUSUFALI: So there came the sorcerers to Pharaoh: They said, "of course we shall have a (suitable) reward if we win!" PICKTHAL: And the wizards came to Pharaoh, saying: Surely there will be a reward for us if we are victors. SHAKIR: And the enchanters came to Firon (and) said: We must surely have a reward if we are the prevailing ones. PICKTHAL: He answered: Yes, and surely ye shall be of those brought near (to me). SHAKIR: He said: Yes, and you shall certainly be of those who are near (to me). YUSUFALI: They said: "O Moses! wilt thou throw (first), or shall we have the (first) throw?" YUSUFALI: Said Moses: "Throw ye (first)." So when they threw, they bewitched the eyes of the people, and struck terror into them: for they showed a great (feat of) magic. PICKTHAL: He said: Throw! And when they threw they cast a spell upon the people's eyes, and overawed them, and produced a mighty spell. SHAKIR: He said: Cast. So when they cast, they deceived the people's eyes and frightened them, and they produced a mighty enchantment. YUSUFALI: We put it into Moses's mind by inspiration: "Throw (now) thy rod":and behold! it swallows up straight away all the falsehoods which they fake! SHAKIR: And We revealed to Musa, saying: Cast your rod; then lo! it devoured the lies they told. SHAKIR: So the truth was established, and what they did became null. YUSUFALI: So the (great ones) were vanquished there and then, and were made to look small. PICKTHAL: Thus were they there defeated and brought low. SHAKIR: Thus they were vanquished there, and they went back abased. YUSUFALI: But the sorcerers fell down prostrate in adoration. SHAKIR: And the enchanters were thrown down, prostrating (themselves). YUSUFALI: Said Pharaoh: "Believe ye in Him before I give you permission? Surely this is a trick which ye have planned in the city to drive out its people: but soon shall ye know (the consequences). PICKTHAL: Pharaoh said: Ye believe in Him before I give you leave! Lo! this is the plot that ye have plotted in the city that ye may drive its people hence. But ye shall come to know! YUSUFALI: "Be sure I will cut off your hands and your feet on apposite sides, and I will cause you all to die on the cross." PICKTHAL: Surely I shall have your hands and feet cut off upon alternate sides. Then I shall crucify you every one. SHAKIR: I will certainly cut off your hands and your feet on opposite sides, then will I crucify you all together. PICKTHAL: They said: Lo! We are about to return unto our Lord! YUSUFALI: "But thou dost wreak thy vengeance on us simply because we believed in the Signs of our Lord when they reached us! Our Lord! pour out on us patience and constancy, and take our souls unto thee as Muslims (who bow to thy will)! PICKTHAL: Thou takest vengeance on us only forasmuch as we believed the tokens of our Lord when they came unto us. Our Lord! Vouchsafe unto us steadfastness and make us die as men who have surrendered (unto Thee). SHAKIR: And you do not take revenge on us except because we have believed in the communications of our Lord when they came to us! Our Lord: Pour out upon us patience and cause us to die in submission. YUSUFALI: Said the chiefs of Pharaoh's people: "Wilt thou leave Moses and his people, to spread mischief in the land, and to abandon thee and thy gods?" He said: "Their male children will we slay; (only) their females will we save alive; and we have over them (power) irresistible." PICKTHAL: The chiefs of Pharaoh's people said: (O King), wilt thou suffer Moses and his people to make mischief in the land, and flout thee and thy gods? He said: We will slay their sons and spare their women, for lo! we are in power over them. SHAKIR: And the chiefs of Firon's people said: Do you leave Musa and his people to make mischief in the land and to forsake you and your gods? He said: We will slay their sons and spare their women, and surely we are masters over them. YUSUFALI: Said Moses to his people: "Pray for help from Allah, and (wait) in patience and constancy: for the earth is Allah's, to give as a heritage to such of His servants as He pleaseth; and the end is (best) for the righteous. PICKTHAL: And Moses said unto his people: Seek help in Allah and endure. Lo! the earth is Allah's. He giveth it for an inheritance to whom He will. And lo! the sequel is for those who keep their duty (unto Him). SHAKIR: Musa said to his people: Ask help from Allah and be patient; surely the land is Allah's; He causes such of His servants to inherit it as He pleases, and the end is for those who guard (against evil). YUSUFALI: They said: "We have had (nothing but) trouble, both before and after thou camest to us." He said: "It may be that your Lord will destroy your enemy and make you inheritors in the earth; that so He may try you by your deeds." PICKTHAL: They said: We suffered hurt before thou camest unto us, and since thou hast come unto us. He said: It may be that your Lord is going to destroy your adversary and make you viceroys in the earth, that He may see how ye behave. SHAKIR: They said: We have been persecuted before you came to us and since you have come to us. He said: It may be that your Lord will destroy your enemy and make you rulers in the land, then He will see how you act. YUSUFALI: We punished the people of Pharaoh with years (of droughts) and shortness of crops; that they might receive admonition. PICKTHAL: And we straitened Pharaoh's folk with famine and dearth of fruits, that peradventure they might heed. SHAKIR: And certainly We overtook Firon's people with droughts and diminution of fruits that they may be mindful. YUSUFALI: But when good (times) came, they said, "This is due to us;" When gripped by calamity, they ascribed it to evil omens connected with Moses and those with him! Behold! in truth the omens of evil are theirs in Allah's sight, but most of them do not understand! PICKTHAL: But whenever good befell them, they said: This is ours; and whenever evil smote them they ascribed it to the evil auspices of Moses and those with him. Surely their evil auspice was only with Allah. But most of them knew not. SHAKIR: But when good befell them they said: This is due to us; and when evil afflicted them, they attributed it to the ill-luck of Musa and those with him; surely their evil fortune is only from Allah but most of them do not know. YUSUFALI: They said (to Moses): "Whatever be the Signs thou bringest, to work therewith thy sorcery on us, we shall never believe in thee. PICKTHAL: And they said: Whatever portent thou bringest wherewith to bewitch us, we shall not put faith in thee. SHAKIR: And they said: Whatever sign you may bring to us to charm us with it-- we will not believe in you. YUSUFALI: So We sent (plagues) on them: Wholesale death, Locusts, Lice, Frogs, And Blood: Signs openly self-explained: but they were steeped in arrogance,- a people given to sin. PICKTHAL: So We sent against them the flood and the locusts and the vermin and the frogs and the blood - a succession of clear signs. But they were arrogant and became a guilty folk. SHAKIR: Therefore We sent upon them widespread death, and the locusts and the lice and the frog and the blood, clear signs; but they behaved haughtily and they were a guilty people. YUSUFALI: Every time the penalty fell on them, they said: "O Moses! on your behalf call on thy Lord in virtue of his promise to thee: If thou wilt remove the penalty from us, we shall truly believe in thee, and we shall send away the Children of Israel with thee." PICKTHAL: And when the terror fell on them they cried: O Moses! Pray for us unto thy Lord, because He hath a covenant with thee. If thou removest the terror from us we verily will trust thee and will let the Children of Israel go with thee. YUSUFALI: But every time We removed the penalty from them according to a fixed term which they had to fulfil,- Behold! they broke their word! PICKTHAL: But when We did remove from them the terror for a term which they must reach, behold! they broke their covenant. SHAKIR: But when We removed the plague from them till a term which they should attain lo! they broke (the promise). YUSUFALI: So We exacted retribution from them: We drowned them in the sea, because they rejected Our Signs and failed to take warning from them. PICKTHAL: Therefore We took retribution from them; therefore We drowned them in the sea: because they denied Our revelations and were heedless of them. SHAKIR: Therefore We inflicted retribution on them and drowned them in the sea because they rejected Our signs and were heedless of them. YUSUFALI: And We made a people, considered weak (and of no account), inheritors of lands in both east and west, - lands whereon We sent down Our blessings. The fair promise of thy Lord was fulfilled for the Children of Israel, because they had patience and constancy, and We levelled to the ground the great works and fine buildings which Pharaoh and his people erected (with such pride). PICKTHAL: And We caused the folk who were despised to inherit the eastern parts of the land and the western parts thereof which We had blessed. And the fair word of thy Lord was fulfilled for the Children of Israel because of their endurance; and We annihilated (all) that Pharaoh and his folk had done and that they had contrived. SHAKIR: And We made the people who were deemed weak to mhent the eastern lands and the western ones which We had blessed; and the good word of your Lord was fulfilled in the children of Israel because they bore up (sufferings) patiently; and We utterly destroyed what Firon and his people had wrought and what they built. YUSUFALI: We took the Children of Israel (with safety) across the sea. They came upon a people devoted entirely to some idols they had. They said: "O Moses! fashion for us a god like unto the gods they have." He said: "Surely ye are a people without knowledge. PICKTHAL: And We brought the Children of Israel across the sea, and they came unto a people who were given up to idols which they had. They said: O Moses! Make for us a god even as they have gods. He said: Lo! ye are a folk who know not. YUSUFALI: "As to these folk,- the cult they are in is (but) a fragment of a ruin, and vain is the (worship) which they practise." PICKTHAL: Lo! as for these, their way will be destroyed and all that they are doing is in vain. SHAKIR: (As to) these, surely that about which they are shall be brought to naught and that which they do is vain. YUSUFALI: He said: "Shall I seek for you a god other than the (true) Allah, when it is Allah Who hath endowed you with gifts above the nations?" PICKTHAL: He said: Shall I seek for you a god other than Allah when He hath favoured you above (all) creatures? SHAKIR: He said: What! shall I seek for you a god other than Allah while He has made you excel (all) created things? YUSUFALI: And remember We rescued you from Pharaoh's people, who afflicted you with the worst of penalties, who slew your male children and saved alive your females: in that was a momentous trial from your Lord. PICKTHAL: And (remember) when We did deliver you from Pharaoh's folk who were afflicting you with dreadful torment, slaughtering your sons and sparing your women. That was a tremendous trial from your Lord. SHAKIR: And when We delivered you from Firon's people who subjected you to severe torment, killing your sons and sparing your women, and in this there was a great trial from your Lord. YUSUFALI: We appointed for Moses thirty nights, and completed (the period) with ten (more): thus was completed the term (of communion) with his Lord, forty nights. And Moses had charged his brother Aaron (before he went up): "Act for me amongst my people: Do right, and follow not the way of those who do mischief." PICKTHAL: And when We did appoint for Moses thirty nights (of solitude), and added to them ten, and he completed the whole time appointed by his Lord of forty nights; and Moses said unto his brother, Aaron: Take my place among the people. Do right, and follow not the way of mischief-makers. SHAKIR: And We appointed with Musa a time of thirty nights and completed them with ten (more), so the appointed time of his Lord was complete forty nights, and Musa said to his brother Haroun: Take my place among my people, and act well and do not follow the way of the mischief-makers. YUSUFALI: When Moses came to the place appointed by Us, and his Lord addressed him, He said: "O my Lord! show (Thyself) to me, that I may look upon thee." Allah said: "By no means canst thou see Me (direct); But look upon the mount; if it abide in its place, then shalt thou see Me." When his Lord manifested His glory on the Mount, He made it as dust. And Moses fell down in a swoon. When he recovered his senses he said: "Glory be to Thee! to Thee I turn in repentance, and I am the first to believe." PICKTHAL: And when Moses came to Our appointed tryst and his Lord had spoken unto him, he said: My Lord! Show me (Thy Self), that I may gaze upon Thee. He said: Thou wilt not see Me, but gaze upon the mountain! If it stand still in its place, then thou wilt see Me. And when his Lord revealed (His) glory to the mountain He sent it crashing down. And Moses fell down senseless. And when he woke he said: Glory unto Thee! I turn unto Thee repentant, and I am the first of (true) believers. SHAKIR: And when Musa came at Our appointed time and his Lord spoke to him, he said: My Lord! show me (Thyself), so that I may look upon Thee. He said: You cannot (bear to) see Me but look at the mountain, if it remains firm in its place, then will you see Me; but when his Lord manifested His glory to the mountain He made it crumble and Musa fell down in a swoon; then when he recovered, he said: Glory be to Thee, I turn to Thee, and I am the first of the believers. YUSUFALI: (Allah) said: "O Moses! I have chosen thee above (other) men, by the mission I (have given thee) and the words I (have spoken to thee): take then the (revelation) which I give thee, and be of those who give thanks." PICKTHAL: He said: O Moses! I have preferred thee above mankind by My messages and by My speaking (unto thee). So hold that which I have given thee, and be among the thankful. SHAKIR: He said: O Musa! surely I have chosen you above the people with My messages and with My words, therefore take hold of what I give to you and be of the grateful ones. YUSUFALI: And We ordained laws for him in the tablets in all matters, both commanding and explaining all things, (and said): "Take and hold these with firmness, and enjoin thy people to hold fast by the best in the precepts: soon shall I show you the homes of the wicked,- (How they lie desolate)." PICKTHAL: And We wrote for him, upon the tablets, the lesson to be drawn from all things and the explanation of all things, then (bade him): Hold it fast; and command thy people (saying): Take the better (course made clear) therein. I shall show thee the abode of evil-livers. SHAKIR: And We ordained for him in the tablets admonition of every kind and clear explanation of all things; so take hold of them with firmness and enjoin your people to take hold of what is best thereof; I will show you the abode of the transgressors. YUSUFALI: Those who behave arrogantly on the earth in defiance of right - them will I turn away from My signs: Even if they see all the signs, they will not believe in them; and if they see the way of right conduct, they will not adopt it as the way; but if they see the way of error, that is the way they will adopt. For they have rejected our signs, and failed to take warning from them. PICKTHAL: I shall turn away from My revelations those who magnify themselves wrongfully in the earth, and if they see each token believe it not, and if they see the way of righteousness choose it nor for (their) way, and if they see the way of error choose if for (their) way. That is because they deny Our revelations and are used to disregard them. SHAKIR: I will turn away from My communications those who are unjustly proud in the earth; and if they see every sign they will not believe in It; and if they see the way of rectitude they do not take It for a way, and if they see the way of error. they take it for a way; this is because they rejected Our communications and were heedless of them. YUSUFALI: Those who reject Our signs and the meeting in the Hereafter,- vain are their deeds: Can they expect to be rewarded except as they have wrought? PICKTHAL: Those who deny Our revelations and the meeting of the Hereafter, their works are fruitless. Are they requited aught save what they used to do? SHAKIR: And (as to) those who reject Our communications and the meeting of the hereafter, their deeds are null. Shall they be rewarded except for what they have done? YUSUFALI: The people of Moses made, in his absence, out of their ornaments, the image of calf, (for worship): it seemed to low: did they not see that it could neither speak to them, nor show them the way? They took it for worship and they did wrong. PICKTHAL: And the folk of Moses, after (he left them), chose a calf (for worship), (made) out of their ornaments, of saffron hue, which gave a lowing sound. Saw they not that it spake not unto them nor guided them to any way? They chose it, and became wrong-doers. SHAKIR: And Musa's people made of their ornaments a calf after him, a (mere) body, which gave a mooing sound. What! could they not see that it did not speak to them nor guide them m the way? They took it (for worship) and they were unjust. YUSUFALI: When they repented, and saw that they had erred, they said: "If our Lord have not mercy upon us and forgive us, we shall indeed be of those who perish." PICKTHAL: And when they feared the consequences thereof and saw that they had gone astray, they said: Unless our Lord have mercy on us and forgive us, we verily are of the lost. SHAKIR: And when they repented and saw that they had gone astray, they said: If our Lord show not mercy to us and forgive us we shall certainly be of the losers. YUSUFALI: When Moses came back to his people, angry and grieved, he said: "Evil it is that ye have done in my place in my absence: did ye make haste to bring on the judgment of your Lord?" He put down the tablets, seized his brother by (the hair of) his head, and dragged him to him. Aaron said: "Son of my mother! the people did indeed reckon me as naught, and went near to slaying me! Make not the enemies rejoice over my misfortune, nor count thou me amongst the people of sin." PICKTHAL: And when Moses returned unto his people, angry and grieved, he said: Evil is that (course) which ye took after I had left you. Would ye hasten on the judgment of your Lord? And he cast down the tablets, and he seized his brother by the head, dragging him toward him. He said: Son of my mother! Lo! the folk did judge me weak and almost killed me. Oh, make not mine enemies to triumph over me and place me not among the evil-doers. SHAKIR: And when Musa returned to his people, wrathful (and) in violent grief, he said: Evil is it that you have done after me; did you turn away from the bidding of your Lord? And he threw down the tablets and seized his brother by the head, dragging him towards him. He said: Son of my mother! surely the people reckoned me weak and had well-nigh slain me, therefore make not the enemies to rejoice over me and count me not among the unjust people. YUSUFALI: Moses prayed: "O my Lord! forgive me and my brother! admit us to Thy mercy! for Thou art the Most Merciful of those who show mercy!" PICKTHAL: He said: My Lord! Have mercy on me and on my brother; bring us into Thy mercy, Thou the Most Merciful of all who show mercy. SHAKIR: He said: My Lord! forgive me and my brother and cause us to enter into Thy mercy, and Thou art the most Merciful of the merciful ones. YUSUFALI: Those who took the calf (for worship) will indeed be overwhelmed with wrath from their Lord, and with shame in this life: thus do We recompense those who invent (falsehoods). PICKTHAL: Lo! Those who chose the calf (for worship), terror from their Lord and humiliation will come upon them in the life of the world. Thus do We requite those who invent a lie. SHAKIR: (As for) those who took the calf (for a god), surely wrath from their Lord and disgrace in this world's life shall overtake them, and thus do We recompense the devisers of lies. YUSUFALI: But those who do wrong but repent thereafter and (truly) believe,- verily thy Lord is thereafter Oft-Forgiving, Most Merciful. PICKTHAL: But those who do ill-deeds and afterward repent and believe - lo! for them, afterward, Allah is Forgiving, Merciful. SHAKIR: And (as to) those who do evil deeds, then repent after that and believe, your Lord after that is most surely Forgiving, Merciful. YUSUFALI: When the anger of Moses was appeased, he took up the tablets: in the writing thereon was guidance and Mercy for such as fear their Lord. PICKTHAL: Then, when the anger of Moses abated, he took up the tablets, and in their inscription there was guidance and mercy for all those who fear their Lord. SHAKIR: And when Musa's anger calmed down he took up the tablets, and in the writing thereof was guidance and mercy for those who fear for the sake of their Lord. YUSUFALI: And Moses chose seventy of his people for Our place of meeting: when they were seized with violent quaking, he prayed: "O my Lord! if it had been Thy will Thou couldst have destroyed, long before, both them and me: wouldst Thou destroy us for the deeds of the foolish ones among us? this is no more than Thy trial: by it Thou causest whom Thou wilt to stray, and Thou leadest whom Thou wilt into the right path. Thou art our Protector: so forgive us and give us Thy mercy; for Thou art the best of those who forgive. PICKTHAL: And Moses chose of his people seventy men for Our appointed tryst and, when the trembling came on them, he said: My Lord! If Thou hadst willed Thou hadst destroyed them long before, and me with them. Wilt thou destroy us for that which the ignorant among us did? It is but Thy trial (of us). Thou sendest whom Thou wilt astray and guidest whom Thou wilt: Thou art our Protecting Friend, therefore forgive us and have mercy on us, Thou, the Best of all who show forgiveness. SHAKIR: And Musa chose out of his people seventy men for Our appointment; so when the earthquake overtook them, he said: My Lord! if Thou hadst pleased, Thou hadst destroyed them before and myself (too); wilt Thou destroy us for what the fools among us have done? It is naught but Thy trial, Thou makest err with it whom Thou pleasest and guidest whom Thou pleasest: Thou art our Guardian, therefore forgive us and have mercy on us, and Thou art the best of the forgivers. SHAKIR: And ordain for us good in this world's life and m the hereafter, for surely we turn to Thee. He said: (As for) My chastisement, I will afflict with it whom I please, and My mercy encompasses all things; so I will ordain it (specially) for those who guard (against evil) and pay the poor-rate, and those who believe in Our communications. YUSUFALI: "Those who follow the messenger, the unlettered Prophet, whom they find mentioned in their own (scriptures),- in the law and the Gospel;- for he commands them what is just and forbids them what is evil; he allows them as lawful what is good (and pure) and prohibits them from what is bad (and impure); He releases them from their heavy burdens and from the yokes that are upon them. So it is those who believe in him, honour him, help him, and follow the light which is sent down with him,- it is they who will prosper." PICKTHAL: Those who follow the messenger, the Prophet who can neither read nor write, whom they will find described in the Torah and the Gospel (which are) with them. He will enjoin on them that which is right and forbid them that which is wrong. He will make lawful for them all good things and prohibit for them only the foul; and he will relieve them of their burden and the fetters that they used to wear. Then those who believe in him, and honour him, and help him, and follow the light which is sent down with him: they are the successful. SHAKIR: Those who follow the Messenger-Prophet, the Ummi, whom they find written down with them in the Taurat and the Injeel (who) enjoins them good and forbids them evil, and makes lawful to them the good things and makes unlawful to them impure things, and removes from them their burden and the shackles which were upon them; so (as for) those who believe in him and honor him and help him, and follow the light which has been sent down with him, these it is that are the successful. YUSUFALI: Say: "O men! I am sent unto you all, as the Messenger of Allah, to Whom belongeth the dominion of the heavens and the earth: there is no god but He: it is He That giveth both life and death. So believe in Allah and His Messenger, the Unlettered Prophet, who believeth in Allah and His words: follow him that (so) ye may be guided." PICKTHAL: Say (O Muhammad): O mankind! Lo! I am the messenger of Allah to you all - (the messenger of) Him unto Whom belongeth the Sovereignty of the heavens and the earth. There is no Allah save Him. He quickeneth and He giveth death. So believe in Allah and His messenger, the Prophet who can neither read nor write, who believeth in Allah and in His Words, and follow him that haply ye may be led aright. SHAKIR: Say: O people! surely I am the Messenger of Allah to you all, of Him Whose is the kingdom of the heavens and the earth there is no god but He; He brings to life and causes to die therefore believe in Allah and His messenger, the Ummi Prophet who believes in Allah and His words, and follow him so that you may walk in the right way. YUSUFALI: Of the people of Moses there is a section who guide and do justice in the light of truth. PICKTHAL: And of Moses' folk there is a community who lead with truth and establish justice therewith. SHAKIR: And of Musa's people was a party who guided (people) with the truth, and thereby did they do justice. YUSUFALI: We divided them into twelve tribes or nations. We directed Moses by inspiration, when his (thirsty) people asked him for water: "Strike the rock with thy staff": out of it there gushed forth twelve springs: Each group knew its own place for water. We gave them the shade of clouds, and sent down to them manna and quails, (saying): "Eat of the good things We have provided for you": (but they rebelled); to Us they did no harm, but they harmed their own souls. PICKTHAL: We divided them into twelve tribes, nations; and We inspired Moses, when his people asked him for water, saying: Smite with thy staff the rock! And there gushed forth therefrom twelve springs, so that each tribe knew their drinking-place. And we caused the white cloud to overshadow them and sent down for them the manna and the quails (saying): Eat of the good things wherewith we have provided you. They wronged Us not, but they were wont to wrong themselves. SHAKIR: And We divided them into twelve tribes, as nations; and We revealed to Musa when his people asked him for water: Strike the rock with your staff, so outnowed from it twelve springs; each tribe knew its drinking place; and We made the clouds to give shade over them and We sent to them manna and quails: Eat of the good things We have given you. And they did not do Us any harm, but they did injustice to their own souls. YUSUFALI: And remember it was said to them: "Dwell in this town and eat therein as ye wish, but say the word of humility and enter the gate in a posture of humility: We shall forgive you your faults; We shall increase (the portion of) those who do good." PICKTHAL: And when it was said unto them: Dwell in this township and eat therefrom whence ye will, and say "Repentance," and enter the gate prostrate; We shall forgive you your sins; We shall increase (reward) for the right-doers. SHAKIR: And when it was said to them: Reside in this town and eat from it wherever you wish, and say, Put down from us our heavy burdens: and enter the gate making obeisance, We will forgive you your wrongs: We will give more to those who do good (to others). YUSUFALI: But the transgressors among them changed the word from that which had been given them so we sent on them a plague from heaven. For that they repeatedly transgressed. PICKTHAL: But those of them who did wrong changed the word which had been told them for another saying, and We sent down upon them wrath from heaven for their wrongdoing. SHAKIR: But those who were unjust among them changed it for a saying other than that which had been spoken to them; so We sent upon them a pestilence from heaven because they were unjust. YUSUFALI: Ask them concerning the town standing close by the sea. Behold! they transgressed in the matter of the Sabbath. For on the day of their Sabbath their fish did come to them, openly holding up their heads, but on the day they had no Sabbath, they came not: thus did We make a trial of them, for they were given to transgression. PICKTHAL: Ask them (O Muhammad) of the township that was by the sea, how they did break the Sabbath, how their big fish came unto them visibly upon their Sabbath day and on a day when they did not keep Sabbath came they not unto them. Thus did We try them for that they were evil-livers. SHAKIR: And ask them about the town which stood by the sea; when they exceeded the limits of the Sabbath, when their fish came to them on the day of their Sabbath, appearing on the surface of the water, and on the day on which they did not keep the Sabbath they did not come to them; thus did We try them because they transgressed. YUSUFALI: When some of them said: "Why do ye preach to a people whom Allah will destroy or visit with a terrible punishment? "- said the preachers:" To discharge our duty to your Lord, and perchance they may fear Him." PICKTHAL: And when a community among them said: Why preach ye to a folk whom Allah is about to destroy or punish with an awful doom, they said: In order to be free from guilt before your Lord, and that haply they may ward off (evil). SHAKIR: And when a party of them said: Why do you admonish a with a severe chastisement? They said: To be free from blame before your Lord, and that haply they may guard (against evil). YUSUFALI: When they disregarded the warnings that had been given them, We rescued those who forbade Evil; but We visited the wrong-doers with a grievous punishment because they were given to transgression. PICKTHAL: And when they forgot that whereof they had been reminded, We rescued those who forbade wrong, and visited those who did wrong with dreadful punishment because they were evil-livers. SHAKIR: So when they neglected what they had been reminded of, We delivered those who forbade evil and We overtook those who were unjust with an evil chastisement because they transgressed. YUSUFALI: When in their insolence they transgressed (all) prohibitions, We said to them: "Be ye apes, despised and rejected." PICKTHAL: So when they took pride in that which they had been forbidden, We said unto them: Be ye apes despised and loathed! SHAKIR: Therefore when they revoltingly persisted in what they had been forbidden, We said to them: Be (as) apes, despised and hated. YUSUFALI: Behold! thy Lord did declare that He would send against them, to the Day of Judgment, those who would afflict them with grievous penalty. Thy Lord is quick in retribution, but He is also Oft-forgiving, Most Merciful. PICKTHAL: And (remember) when thy Lord proclaimed that He would raise against them till the Day of Resurrection those who would lay on them a cruel torment. Lo! verily thy Lord is swift in prosecution and lo! verily He is Forgiving, Merciful. SHAKIR: And when your Lord announced that He would certainly send against them to the day of resurrection those who would subject them to severe torment; most surely your Lord is quick to requite (evil) and most surely He is Forgiving, Merciful. YUSUFALI: We broke them up into sections on this earth. There are among them some that are the righteous, and some that are the opposite. We have tried them with both prosperity and adversity: In order that they might turn (to us). PICKTHAL: And We have sundered them in the earth as (separate) nations. Some of them are righteous, and some far from that. And We have tried them with good things and evil things that haply they might return. SHAKIR: And We cut them up on the earth into parties, (some) of them being righteous and (others) of them falling short of that, and We tried them with blessings and misfortunes that they might turn. YUSUFALI: After them succeeded an (evil) generation: They inherited the Book, but they chose (for themselves) the vanities of this world, saying (for excuse): "(Everything) will be forgiven us." (Even so), if similar vanities came their way, they would (again) seize them. Was not the covenant of the Book taken from them, that they would not ascribe to Allah anything but the truth? and they study what is in the Book. But best for the righteous is the home in the Hereafter. Will ye not understand? PICKTHAL: And a generation hath succeeded them who inherited the scriptures. They grasp the goods of this low life (as the price of evil-doing) and say: It will be forgiven us. And if there came to them (again) the offer of the like, they would accept it (and would sin again). Hath not the covenant of the Scripture been taken on their behalf that they should not speak aught concerning Allah save the truth? And they have studied that which is therein. And the abode of the Hereafter is better, for those who ward off (evil). Have ye then no sense? SHAKIR: Then there came after them an evil posterity who inherited the Book, taking only the frail good of this low life and saying: It will be forgiven us. And if the like good came to them, they would take it (too). Was not a promise taken from them in the Book that they would not speak anything about Allah but the truth, and they have read what is in it; and the abode of the hereafter is better for those who guard (against evil). Do you not then understand? YUSUFALI: As to those who hold fast by the Book and establish regular prayer,- never shall We suffer the reward of the righteous to perish. PICKTHAL: And as for those who make (men) keep the Scripture, and establish worship - lo! We squander not the wages of reformers. SHAKIR: And (as for) those who hold fast by the Book and keep up prayer, surely We do not waste the reward of the right doers. YUSUFALI: When We shook the Mount over them, as if it had been a canopy, and they thought it was going to fall on them (We said): "Hold firmly to what We have given you, and bring (ever) to remembrance what is therein; perchance ye may fear Allah." PICKTHAL: And when We shook the Mount above them as it were a covering, and they supposed that it was going to fall upon them (and We said): Hold fast that which We have given you, and remember that which is therein, that ye may ward off (evil). SHAKIR: And when We shook the mountain over them as if it were a covering overhead, and they thought that it was going to fall down upon them: Take hold of what We have given you with firmness, and be mindful of what is in it, so that you may guard (against evil). SHAKIR: And when your Lord brought forth from the children of Adam, from their backs, their descendants, and made them bear witness against their own souls: Am I not your Lord? They said: Yes! we bear witness. Lest you should say on the day of resurrection: Surely we were heedless of this. YUSUFALI: Or lest ye should say: "Our fathers before us may have taken false gods, but we are (their) descendants after them: wilt Thou then destroy us because of the deeds of men who were futile?" PICKTHAL: Or lest ye should say: (It is) only (that) our fathers ascribed partners to Allah of old and we were (their) seed after them. Wilt Thou destroy us on account of that which those who follow falsehood did? SHAKIR: Or you should say: Only our fathers associated others (with Allah) before, and we were an offspring after them: Wilt Thou then destroy us for what the vain doers did? YUSUFALI: Thus do We explain the signs in detail; and perchance they may turn (unto Us). PICKTHAL: Thus we detail the revelations, that haply they may return. SHAKIR: And thus do We make clear the communications, and that haply they might return. YUSUFALI: Relate to them the story of the man to whom We sent Our signs, but he passed them by: so Satan followed him up, and he went astray. PICKTHAL: Recite unto them the tale of him to whom We gave Our revelations, but he sloughed them off, so Satan overtook him and he became of those who lead astray. SHAKIR: And recite to them the narrative of him to whom We give Our communications, but he withdraws himself from them, so the Shaitan overtakes him, so he is of those who go astray. YUSUFALI: If it had been Our will, We should have elevated him with Our signs; but he inclined to the earth, and followed his own vain desires. His similitude is that of a dog: if you attack him, he lolls out his tongue, or if you leave him alone, he (still) lolls out his tongue. That is the similitude of those who reject Our signs; So relate the story; perchance they may reflect. PICKTHAL: And had We willed We could have raised him by their means, but he clung to the earth and followed his own lust. Therefor his likeness is as the likeness of a dog: if thou attackest him he panteth with his tongue out, and if thou leavest him he panteth with his tongue out. Such is the likeness of the people who deny Our revelations. Narrate unto them the history (of the men of old), that haply they may take thought. SHAKIR: And if We had pleased, We would certainly have exalted him thereby; but he clung to the earth and followed his low desire, so his parable is as the parable of the dog; if you attack him he lolls out his tongue; and if you leave him alone he lolls out his tongue; this is the parable of the people who reject Our communications; therefore relate the narrative that they may reflect. YUSUFALI: Evil as an example are people who reject Our signs and wrong their own souls. PICKTHAL: Evil as an example are the folk who denied Our revelations, and were wont to wrong themselves. SHAKIR: Evil is the likeness of the people who reject Our communications and are unjust to their own souls. YUSUFALI: Whom Allah doth guide,- he is on the right path: whom He rejects from His guidance,- such are the persons who perish. PICKTHAL: He whom Allah leadeth, he indeed is led aright, while he whom Allah sendeth astray - they indeed are losers. SHAKIR: Whomsoever Allah guides, he is the one who follows the right way; and whomsoever He causes to err, these are the losers. YUSUFALI: Many are the Jinns and men we have made for Hell: They have hearts wherewith they understand not, eyes wherewith they see not, and ears wherewith they hear not. They are like cattle,- nay more misguided: for they are heedless (of warning). PICKTHAL: Already have We urged unto hell many of the jinn and humankind, having hearts wherewith they understand not, and having eyes wherewith they see not, and having ears wherewith they hear not. These are as the cattle - nay, but they are worse! These are the neglectful. SHAKIR: And certainly We have created for hell many of the jinn and the men; they have hearts with which they do not understand, and they have eyes with which they do not see, and they have ears with which they do not hear; they are as cattle, nay, they are in worse errors; these are the heedless ones. YUSUFALI: The most beautiful names belong to Allah: so call on him by them; but shun such men as use profanity in his names: for what they do, they will soon be requited. PICKTHAL: Allah's are the fairest names. Invoke Him by them. And leave the company of those who blaspheme His names. They will be requited what they do. SHAKIR: And Allah's are the best names, therefore call on Him thereby, and leave alone those who violate the sanctity of His names; they shall be recompensed for what they did. YUSUFALI: Of those We have created are people who direct (others) with truth. And dispense justice therewith. PICKTHAL: And of those whom We created there is a nation who guide with the Truth and establish justice therewith. SHAKIR: And of those whom We have created are a people who guide with the truth and thereby they do justice. PICKTHAL: And those who deny Our revelations - step by step We lead them on from whence they know not. SHAKIR: And (as to) those who reject Our communications, We draw them near (to destruction) by degrees from whence they know not. YUSUFALI: Respite will I grant unto them: for My scheme is strong (and unfailing). PICKTHAL: I give them rein (for) lo! My scheme is strong. SHAKIR: And I grant them respite; surely My scheme is effective. YUSUFALI: Do they not reflect? Their companion is not seized with madness: he is but a perspicuous warner. PICKTHAL: Have they not bethought them (that) there is no madness in their comrade? He is but a plain warner. SHAKIR: Do they not reflect that their companion has not unsoundness in mind; he is only a plain warner. YUSUFALI: Do they see nothing in the government of the heavens and the earth and all that Allah hath created? (Do they not see) that it may well be that their terms is nigh drawing to an end? In what message after this will they then believe? PICKTHAL: Have they not considered the dominion of the heavens and the earth, and what things Allah hath created, and that it may be that their own term draweth nigh? In what fact after this will they believe? SHAKIR: Do they not consider the kingdom of the heavens and the earth and whatever things Allah has created, and that may be their doom shall have drawn nigh; what announcement would they then believe in after this? YUSUFALI: To such as Allah rejects from His guidance, there can be no guide: He will leave them in their trespasses, wandering in distraction. PICKTHAL: Those whom Allah sendeth astray, there is no guide for them. He leaveth them to wander blindly on in their contumacy. SHAKIR: Whomsoever Allah causes to err, there is no guide for him; and He leaves them alone in their inordinacy, blindly wandering on. PICKTHAL: They ask thee of the (destined) Hour, when will it come to port. Say: Knowledge thereof is with my Lord only. He alone will manifest it at its proper time. It is heavy in the heavens and the earth. It cometh not to you save unawares. They question thee as if thou couldst be well informed thereof. Say: Knowledge thereof is with Allah only, but most of mankind know not. SHAKIR: They ask you about the hour, when will be its taking place? Say: The knowledge of it is only with my Lord; none but He shall manifest it at its time; it will be momentous in the heavens and the earth; it will not come on you but of a sudden. They ask you as if you were solicitous about it. Say: Its knowledge is only with Allah, but most people do not know. YUSUFALI: Say: "I have no power over any good or harm to myself except as Allah willeth. If I had knowledge of the unseen, I should have multiplied all good, and no evil should have touched me: I am but a warner, and a bringer of glad tidings to those who have faith." PICKTHAL: Say: For myself I have no power to benefit, nor power to hurt, save that which Allah willeth. Had I knowledge of the Unseen, I should have abundance of wealth, and adversity would not touch me. I am but a warner, and a bearer of good tidings unto folk who believe. YUSUFALI: It is He Who created you from a single person, and made his mate of like nature, in order that he might dwell with her (in love). When they are united, she bears a light burden and carries it about (unnoticed). When she grows heavy, they both pray to Allah their Lord, (saying): "If Thou givest us a goodly child, we vow we shall (ever) be grateful." PICKTHAL: He it is Who did create you from a single soul, and therefrom did make his mate that he might take rest in her. And when he covered her she bore a light burden, and she passed (unnoticed) with it, but when it became heavy they cried unto Allah, their Lord, saying: If thou givest unto us aright we shall be of the thankful. SHAKIR: He it is Who created you from a single being, and of the same (kind) did He make his mate, that he might incline to her; so when he covers her she bears a light burden, then moves about with it; but when it grows heavy, they both call upon Allah, their Lord: If Thou givest us a good one, we shall certainly be of the grateful ones. YUSUFALI: But when He giveth them a goodly child, they ascribe to others a share in the gift they have received: but Allah is exalted high above the partners they ascribe to Him. PICKTHAL: But when He gave unto them aright, they ascribed unto Him partners in respect of that which He had given them. High is He Exalted above all that they associate (with Him). SHAKIR: But when He gives them a good one, thcy set up with Him associates in what He has given them; but high is Allah above what they associate (with Him). YUSUFALI: Do they indeed ascribe to Him as partners things that can create nothing, but are themselves created? SHAKIR: What! they associate (with Him) that which does not create any thing, while they are themselves created! YUSUFALI: No aid can they give them, nor can they aid themselves! PICKTHAL: And cannot give them help, nor can they help themselves? SHAKIR: And they have no power to give them help, nor can they help themselves. YUSUFALI: If ye call them to guidance, they will not obey: For you it is the same whether ye call them or ye hold your peace! PICKTHAL: And if ye call them to the Guidance, they follow you not. Whether ye call them or are silent is all one for you. SHAKIR: And if you invite them to guidance, they will not follow you; it is the same to you whether you invite them or you are silent. YUSUFALI: Verily those whom ye call upon besides Allah are servants like unto you: Call upon them, and let them listen to your prayer, if ye are (indeed) truthful! PICKTHAL: Lo! those on whom ye call beside Allah are slaves like unto you. Call on them now, and let them answer you, if ye are truthful! SHAKIR: Surely those whom you call on besides Allah are in a state of subjugation like yourselves; therefore call on them, then let them answer you if you are truthful. YUSUFALI: Have they feet to walk with? Or hands to lay hold with? Or eyes to see with? Or ears to hear with? Say: "Call your 'god-partners', scheme (your worst) against me, and give me no respite! PICKTHAL: Have they feet wherewith they walk, or have they hands wherewith they hold, or have they eyes wherewith they see, or have they ears wherewith they hear? Say: Call upon your (so-called) partners (of Allah), and then contrive against me, spare me not! SHAKIR: Have they feet with which they walk, or have they hands with which they hold, or have they eyes with which they see, or have they ears with which they hear? Say: Call your associates, then make a struggle (to prevail) against me and give me no respite. YUSUFALI: "For my Protector is Allah, Who revealed the Book (from time to time), and He will choose and befriend the righteous. PICKTHAL: Lo! my Protecting Friend is Allah Who revealeth the Scripture. He befriendeth the righteous. SHAKIR: Surely my guardian is Allah, Who revealed the Book, and He befriends the good. YUSUFALI: "But those ye call upon besides Him, are unable to help you, and indeed to help themselves." PICKTHAL: They on whom ye call beside Him have no power to help you, nor can they help you, nor can they help themselves. SHAKIR: And those whom you call upon besides Him are not able to help you, nor can they help themselves. YUSUFALI: If thou callest them to guidance, they hear not. Thou wilt see them looking at thee, but they see not. PICKTHAL: And if ye (Muslims) call them to the guidance they hear not; and thou (Muhammad) seest them looking toward thee, but they see not. SHAKIR: And if you invite them to guidance, they do not hear; and you see them looking towards you, yet they do not see. YUSUFALI: Hold to forgiveness; command what is right; But turn away from the ignorant. PICKTHAL: Keep to forgiveness (O Muhammad), and enjoin kindness, and turn away from the ignorant. SHAKIR: Take to forgiveness and enjoin good and turn aside from the ignorant. YUSUFALI: If a suggestion from Satan assail thy (mind), seek refuge with Allah; for He heareth and knoweth (all things). PICKTHAL: And if a slander from the devil wound thee, then seek refuge in Allah. Lo! He is Hearer, Knower. SHAKIR: And if a false imputation from the Shaitan afflict you, seek refuge in Allah; surely He is Hearing, Knowing. YUSUFALI: Those who fear Allah, when a thought of evil from Satan assaults them, bring Allah to remembrance, when lo! they see (aright)! PICKTHAL: Lo! those who ward off (evil), when a glamour from the devil troubleth them, they do but remember (Allah's Guidance) and behold them seers! SHAKIR: Surely those who guard (against evil), when a visitation from the Shaitan afflicts them they become mindful, then lo! they see. YUSUFALI: But their brethren (the evil ones) plunge them deeper into error, and never relax (their efforts). PICKTHAL: Their brethren plunge them further into error and cease not. SHAKIR: And their brethren increase them in error, then they cease not. YUSUFALI: If thou bring them not a revelation, they say: "Why hast thou not got it together?" Say: "I but follow what is revealed to me from my Lord: this is (nothing but) lights from your Lord, and Guidance, and mercy, for any who have faith." PICKTHAL: And when thou bringest not a verse for them they say: Why hast thou not chosen it? Say: I follow only that which is inspired in me from my Lord. This (Qur'an) is insight from your Lord, and a guidance and a mercy for a people that believe. SHAKIR: And when you bring them not a revelation they say: Why do you not forge it? Say: I only follow what is revealed to me from my Lord; these are clear proofs from your Lord and a guidance and a mercy for a people who believe. YUSUFALI: When the Qur'an is read, listen to it with attention, and hold your peace: that ye may receive Mercy. 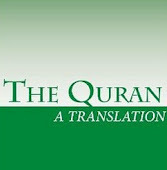 PICKTHAL: And when the Qur'an is recited, give ear to it and pay heed, that ye may obtain mercy. SHAKIR: And when the Quran is recited, then listen to it and remain silent, that mercy may be shown to you. YUSUFALI: And do thou (O reader!) Bring thy Lord to remembrance in thy (very) soul, with humility and in reverence, without loudness in words, in the mornings and evenings; and be not thou of those who are unheedful. PICKTHAL: And do thou (O Muhammad) remember thy Lord within thyself humbly and with awe, below thy breath, at morn and evening. And be not thou of the neglectful. SHAKIR: And remember your Lord within yourself humbly and fearing and in a voice not loud in the morning and the evening and be not of the heedless ones. YUSUFALI: Those who are near to thy Lord, disdain not to do Him worship: They celebrate His praises, and prostrate before Him. PICKTHAL: Lo! those who are with thy Lord are not too proud to do Him service, but they praise Him and prostrate before Him. SHAKIR: Surely those who are with your Lord are not too proud to serve Him, and they declare His glory and prostrate in humility before Him.